now proudly owning & operating “Roses Naturally”. Approx 3000 rose bushes, over 35 varieties, grown in open fields in the picturesque Nambucca Valley. Selling Wholesale & Direct to Public. Beautiful FRAGRANT, unique, fresh ‘real’ roses! Farm Gate sales (by appointment). Flowering season Oct-May. Available @ Coffs Growers Market, Ken Little Port Macquarie, Foodworks Macksville, Mack’s Ville Cafe. Orders taken for Weddings, Anniversaries, Funerals, special events & occasions. Florist style bunches, bouquets & arrangements with local deliveries possible. Click here to see our fresh cut flower roses in slideshow - save by buying direct from the grower, Or seasonally from local outlets like Kenny Little at Port Macquarie. Our blooms are perfect for wedding flowers, functions, events, anniversaries, birthdays, graduations, funerals, parties, celebrations etc. Over 35 varieties in a wide range of incredible colours. Bunches, bouquets, arrangements, boxed dozens & singles. Long stem, short stem, and everything in between! Email is initially the best form of contact as we are usually out in the fields with our roses which makes it difficult to chat at times, so please send a detailed message outlining your requirements and we will get back to you asap. Please include the event location & date along with any specific requirements. Roses Naturally are growers of premium fragrant roses at affordable prices. They are farm fresh. If you are looking for cheap fresh rose flowers, cheap flowers in the mid north coast, coffs coast, hastings valley, wholesale or retail flowers or just want to buy flowers direct from the farm , Roses Naturally can help with premium, value for money, fresh cut rose flowers. Florist style bouquets & arrangements with delivery possible to Nambucca Heads, Macksville & surrounding area. WHY DO PEOPLE LOVE ROSES NATURALLY SO MUCH? *Incredible prices at Coffs Growers Market from $8.00 mixed-colour dozen (short-stem posies). Prices adjust with stem length, ranging from 20cm to 60cm (super long stems). *Our roses are fresh from the farm - every attention to detail is undertaken to ensure absolute freshness and maximum vase life. View above a selection of our huge range of spectacular fresh fragrant cut rose flowers, available at the cheapest prices, from the rose farm direct to the public .... available at the Growers Market every Thursday at Coffs Harbour. Discount roses fresh every week Nov-May for home or office, gifts, wedding, engagement, marriage proposal, anniversary, graduation, friendship, get well, new baby, farewell, welcome home, good luck, funeral, events, parties, real estate, open house, any occasion, as well as everyday giving, 'just because' and wholesale. We prediminantly sell our beautiful fragrant roses each Thursday at the Coffs Growers Market (8am-2pm). We also aim to supply fresh cut flower roses to local IGA's and produce stores in the Coffs Coast & Port Macquarie Region. Consideration for supply to Kempsey, Taree, Grafton, Scotts Head, Sawtell, Toormina, Urunga, Bellingen, Dorrigo, Taylor’s Arm, Bowraville, Boambee, Mylestom, Newee Creek, Wirrimbi, Missabotti, Valla Rural, Valla Beach, Nambucca Heads & Macksville. We further aim to supply fresh cheap price rose flowers retail, direct to the public. 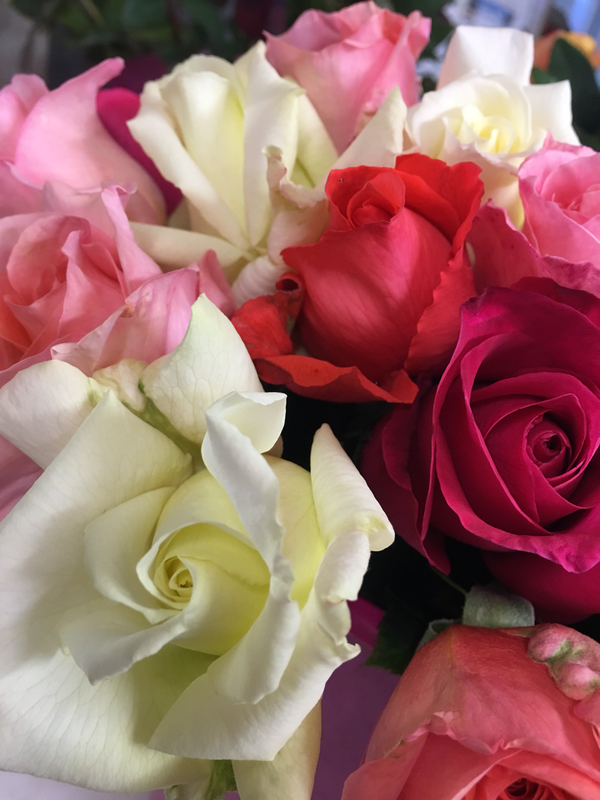 Roses Naturally can supply FRAGRANT rose flowers for weddings, funerals, birthdays, anniversaries, farewells and any special occasion, as well as supplying our lovely, regular customers! Our farm produces a wide variety of field-grown colours ranging from stunning white and cream "wedding bouquet" styles, to hot reds, vibrant orange, shades of yellow, hot pinks & striking stripes. Because our rose flowers are so cheap, anyone can buy bulk discount fresh flowers direct from the grower, especially discounted when purchased from the Coffs Growers Market every week.